Product DescriptionZ-160 is a new generation of aquarium filtration equipment, our company devote to the Magnetic suspension design to enhance the function of the adsorption of organic matter and thus reduced the incidence of inorganic salt, to keep the concentration of organic carbon,.nitrogen, organic phosphorus in a balance level. 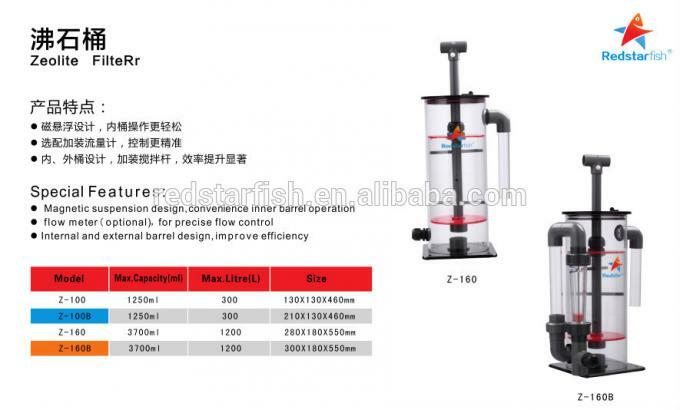 filter, algae screen device, acrylic quarantine case, automatic water-refill, and various accessaries; The company now has "RED STARFISH" of own brands . Has faith: "innovation, and strive to forge ahead and strive to become the backbone of the domestic water aquarium, the world of technology and market, a national brand!"